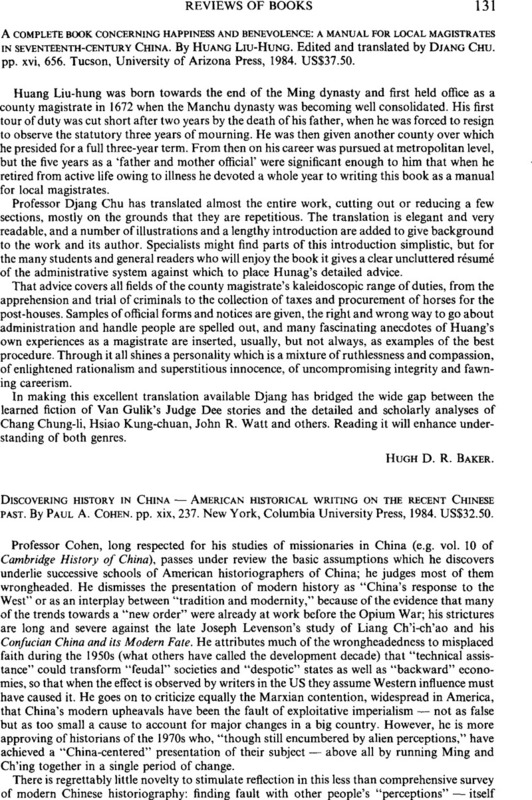 Discovering history in China – American historical writing on the recent Chinese past. By Paul A. Cohen, pp. xix, 237. New York, Columbia University Press, 1984. US$32.50.